World Snooker Championship Day 14: Ronnie O'Sullivan and Ali Carter lead their opponents in the semi-finals, hopefully the 2008 World Final will be repeated. 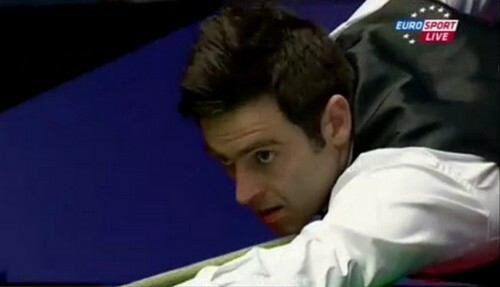 Leading 5-3 before the second session, O'Sullivan struggled at the beginning. Matthew Stevens took the opening two frames of the session to level 5-5 after stunning 63 clearance to steal the frame from Ronnie's hands. The Rocket played better, 62 and a ton put him 7-5 ahead of Stevens at the mid interval. Ronnie found his form, winning another four in a row (total six a row this session) with runs of 98, 94 and a ton. The Essex cueman had an clear advantage over Stevens, 11-5 with two more session to go tomorrow. 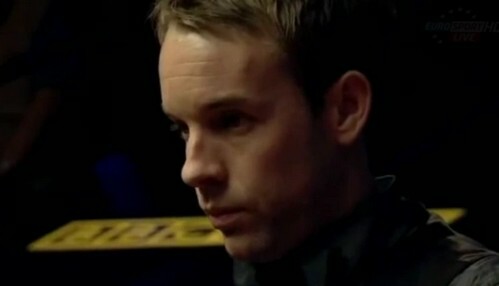 He could kill off the match tomorrow morning if he win six out of eight frames to be played during the third session. I believe many Rocket fans may found an interesting pattern - O'Sullivan played his best snooker during the second session of the match. He took six consecutive frames during second session in the four matches he have played in the championship so far. What a weapon to win a match. Carter extended his lead to 14-10 after the first two sessions. Carter dominated the match, 5-3 and 10-6. He won most of the tight frames on colours, even down to the final black. The standard of the match is higher today, Carter made breaks of 118, 134, 73 to lead 14-7. However, Maguire took the final three frames of third session to ensure Carter would not have a session to spare tomorrow. Carter v Maguire will finish at 2.30pm and winner of O'Sullivan v Stevens will be determined at 7pm.